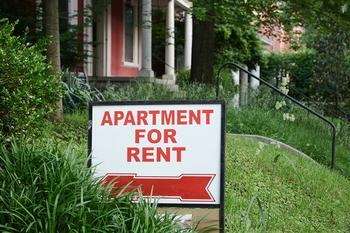 Despite an improving economy, a new report from online rental marketplace Apartment List finds one in five renters have not been able to pay their full rent at least once in the past three months. Falling behind on the rent leads to costly penalties and ultimately, eviction. Apartment List found the number of people reporting a prior eviction rose from 2.8 percent in 2015 to 3.3 percent in 2017. "Eviction is one of the leading causes of homelessness," Chris Salviati, Apartment List's housing economist, told ConsumerAffairs. "You're generally being put out on very short notice. The most common reason for eviction is a missed payment, so these are people who are already struggling financially." Eviction carries with it many other issues. Silviati says it's very difficult to find new housing on short notice if you have few resources. If the eviction is carried out by a court order, there is an official record that can make it much more difficult to find a new home, since landlords are often reluctant to rent to tenants who have been evicted. "There's a lot of research that ties eviction to poor health outcomes, poor educational outcomes for children; people who can't pay rent are obviously cutting back on other necessities, like food and healthcare," Silviati said. Many renters are struggling at a time when the economy has posted solid growth numbers and unemployment has declined. The U.S. housing market has also shown strength in recent years, but Silviati says that doesn't help everyone. "I think when people talk about the housing market recovery, they're talking about home values going back up," he said. "But when you think of it from the renter's side of things, rents have also grown very quickly. So rents have gone up but renters' incomes haven't kept pace." As a result, families or individuals renting homes are being squeezed. The study shows renters without a college education are twice as likely to have been evicted. African American households are twice as likely as white households to have gone through an eviction. Evictions are more likely in the South and Midwest but less likely on both the East and West Coasts. The report finds households with children are more likely to face an eviction threat than those with no children. Making things more difficult, Silviati says, is a growing housing shortage. "There's a very severe shortage of starter homes, so a lot of people who would be potential first time homebuyers just aren't finding anything, so that's keeping people in the rental market longer, creating tightness in the rental market," he said.